Humans have mastered many of the materials around us. Animal hides are cured to become durable leather, iron is alloyed with other metals to become incorruptible stainless steel. But a new material has arrived, and it is not of this world. The extraterrestrial Muonionalusta meteorite was discovered in Scandinavia in the early 20th century, and has been found to contain rare, precious elements, alongside others that are yet to be identified. This may sound like science fiction, but it’s geological fact. And we’ve obtained a piece. The Men’s Meteorite Hybrid Bracelet combines two classic earthly materials— leather and stainless steel— with a piece of genuine extraterrestrial material, identifiable by the naturally occurring crisscross pattern visible on its surface. 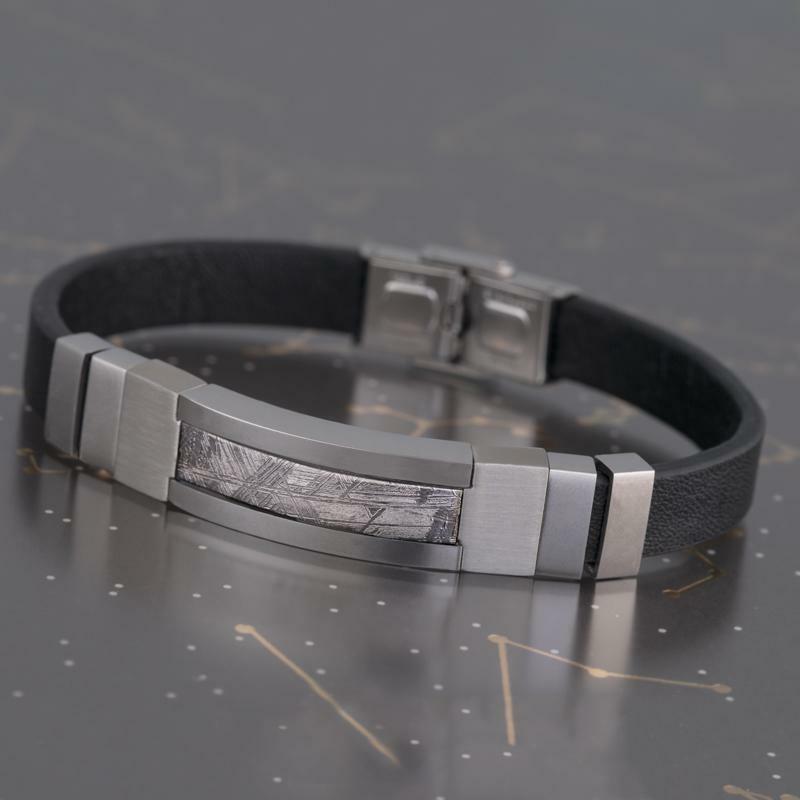 This artifact from beyond the stars has been studied and declared safe to wear, but when you strap the Hybrid on to your wrist, you can’t help but be aware of its otherworldliness. Experience this alien sensation for an out-of-this-world price.